Crow Patrol: back to the Great Stone Dam! Headed out on Crow Patrol minutes after another glorious sunset, and through downtown Lawrence, towards the north end of Rt. 28/Great Stone Dam. Made a quick pull off into the viewing area on the west side of the bridge, at the very north end. 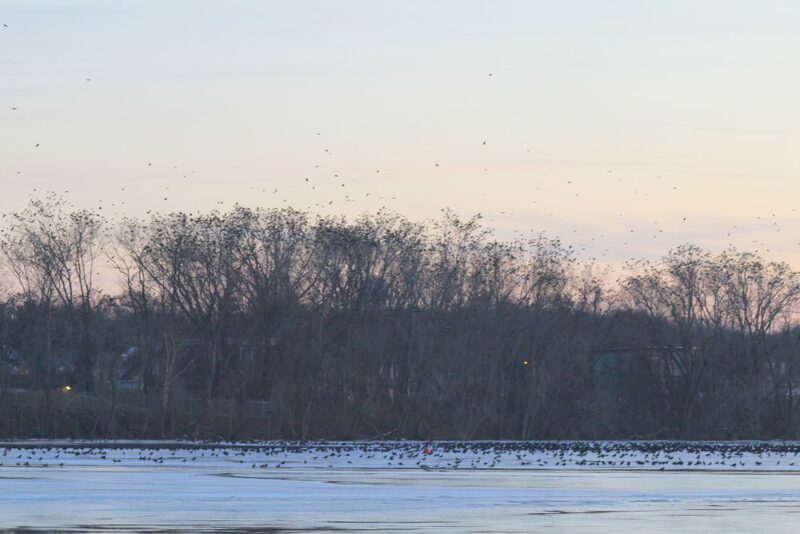 Observed massive numbers of Crows settling into the trees just to the west of the Lawrence Experiment Station, on the south side of the Merrimack River. 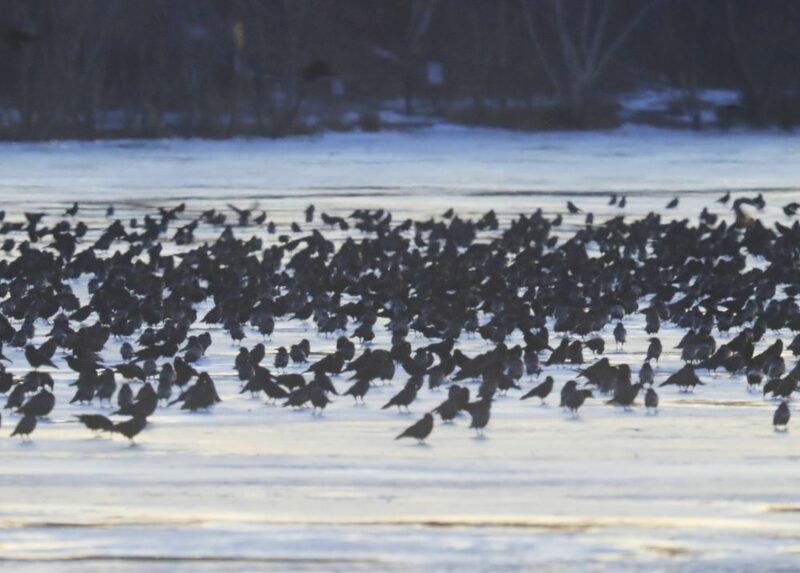 Large numbers of Crows were also building up on the ice; and many more were streaming in from the east, estimated distance 380 yards. The next stop for more observation and photos was on the west side of the bridge at the south end. AT this location, experienced very loud background noise from waterfall at the Dam. 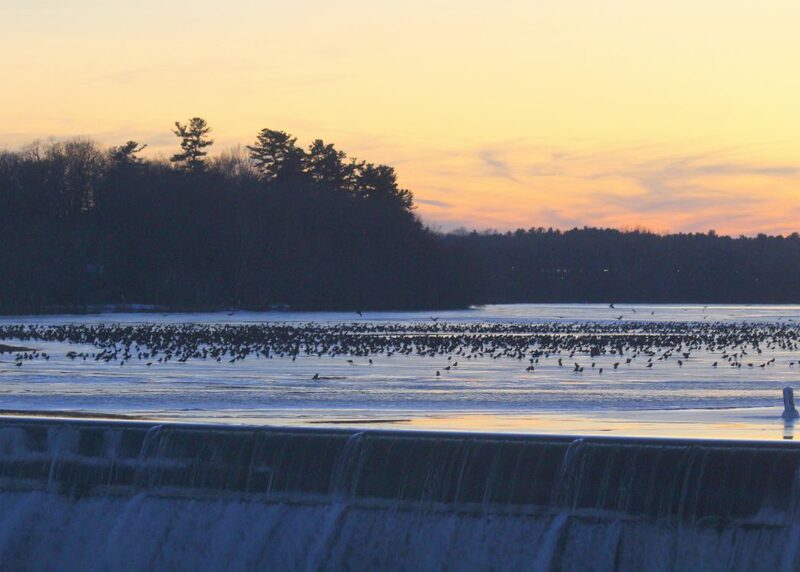 The Crows continued to buildup large numbers in nearby trees and large numbers on the ice, all against a breathtaking orange/pink/yellow after sunset sky while looking upriver towards the Boathouse and beyond. The estimated distance was 275 yards. Minutes later, met up with Dana and Bob over near Riverfront Park to compare notes and discuss action! Then headed out while passing the front entrance to the William X. Wall Experiment Station. The Senator William X. 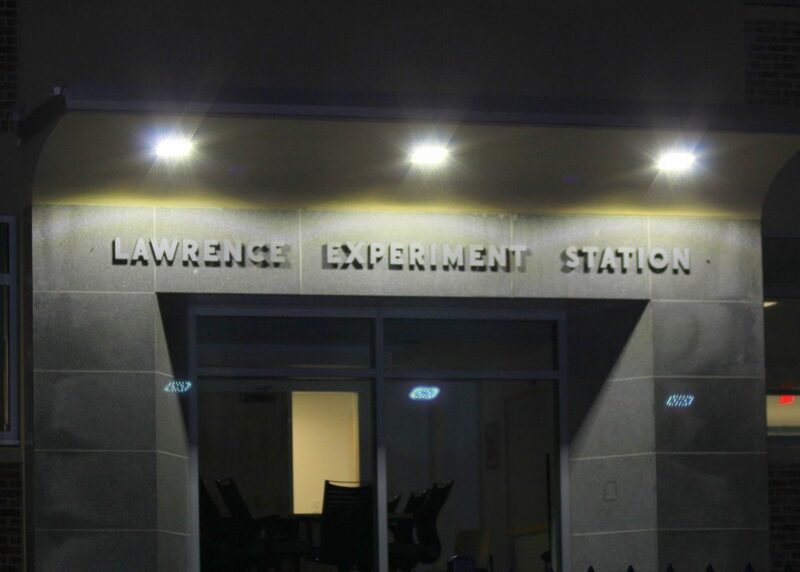 Wall Experiment Station (WES), formerly the Lawrence Experiment Station (LES), was founded in 1887 by the Massachusetts State Board of Health to conduct research leading to the development of practical methods for treating sewage, industrial wastes, and public drinking water supplies. The investigations conducted at the Station laid the foundation for modern methods of wastewater treatment and drinking water purification (1-3). The Station is internationally recognized as one of the first laboratories in the world dedicated to environmental research. In 1975, the Station was designated as a National Historic Civil Engineering Landmark by the American Society of Civil Engineers. Please view the pictorial history of the Station. 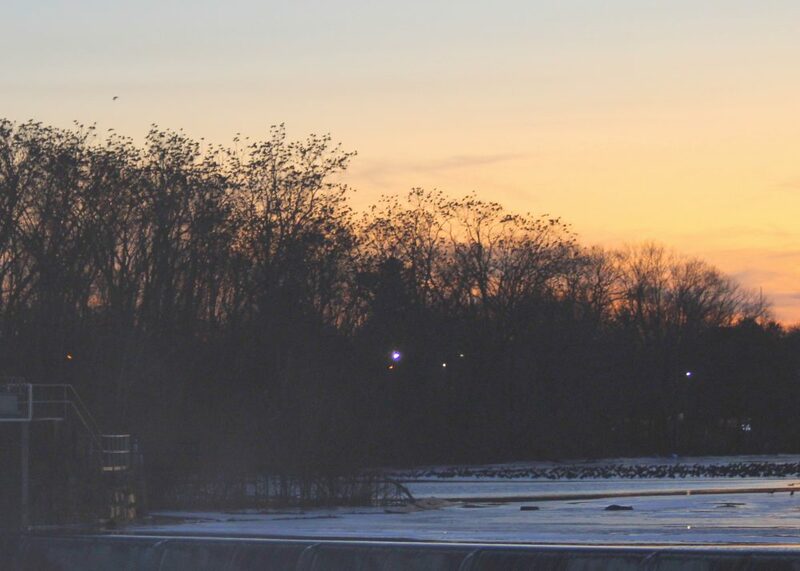 The current 22,000-square foot WES facility, built in 1952 along the Merrimack River in the heart of Lawrence at 37 Shattuck Street, houses over 40 scientists, engineers, and support personnel in two organizational units of MassDEP — i.e., the Division of Environmental Analysis (DEA) within the Bureau of Policy and Planning, and the Air Assessment Branch (AAB) within the Bureau of Waste Prevention. Very notable movement by the Crows tonight with roosting location almost 1.25 miles to the NE from last night’s roost location on Power St….. another part of the awesome mystery! !